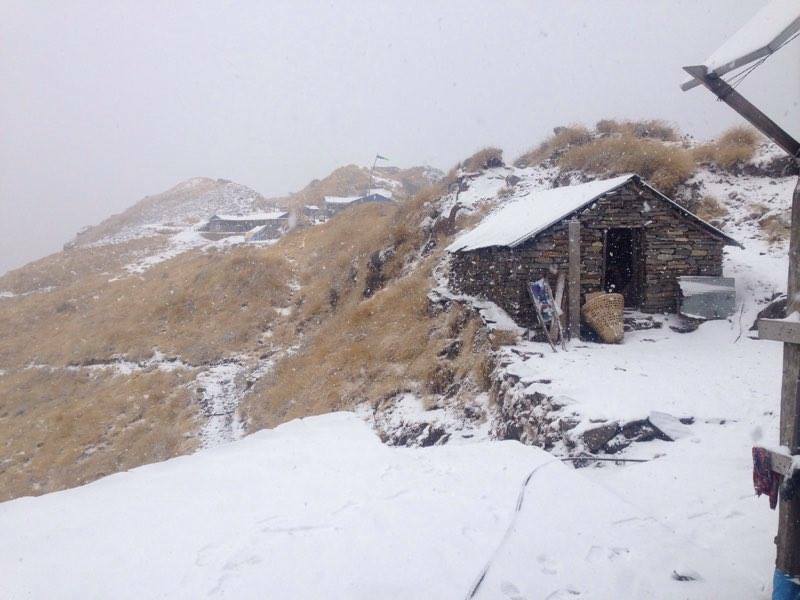 Annapurna Circuit Trekking is one of the most renowned trekking routes in Nepal. This is very suitable route for people having short of time but determined to enjoy the best of the Annapurna region. The 14 day trek takes us along the Marsyangdi gorge through the remote valley of Manang and the arid Thorung La Pass to the holy temple of Muktinath in Jomsom. The trek starts with a drive through Besisahar to Chame. The trail snakes through fine villages inhabited by diverse ethnic groups offering spectacular views of the Himalayas. We continue to the north of the main Himalayan range to the high and dry Tibetan Plateau enjoying the breathtaking scenery before descending to the Holy Muktinath Temple. The trek culminates as we take the flight from Jomsom to the beautiful valley of Pokhara. After a breakfast in Kathmandu we take the 6 hour drive to Besisahar. We drive through the winding roads along the Trishuli River, enjoying the verdant hills and terrace farmlands. Upon arrival at Besisahar we will witness the stunning snow-capped mountain panorama. We will continue our drive from Besisahar avoiding the rough and dusty motor-able road to Chame. Fine views of the Lamjung Himal,Annapurna II and Annapurna IV welcome us to the head quarter of the Manang district, Chame. 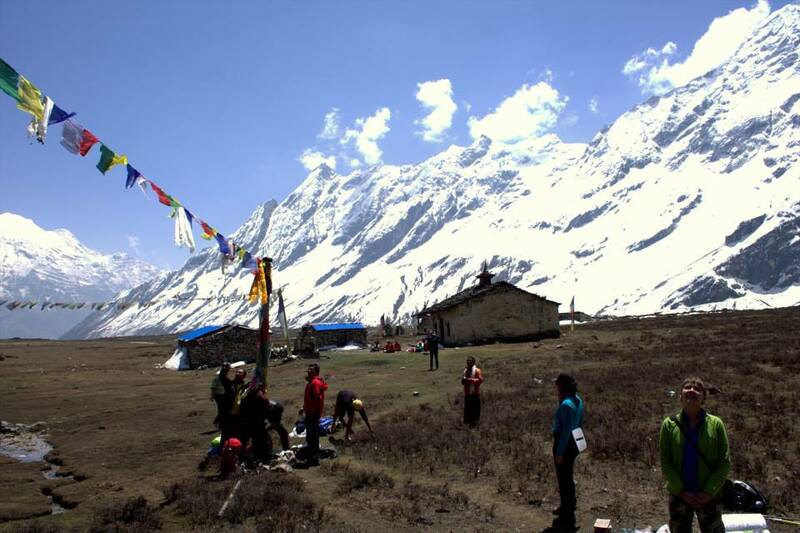 Today our route will slowly climb to the Tibetan- style village of Bryaga (3500m). The astonishing views of the mountain peaks, such as Annapurna, Pisang peak, and several others allure us along the way. The Bryaga Monastery on the hill overlooks the whole Bryaga Village. We visit the wonderful monastery with a colorful display of statues. We continue on our path through an arid countryside with cliffs of yellow rocks to the village of Manang. (5 hrs). We will start early morning towards the Thorung Pass to avoid the strong wind affecting our journey.We climb steeply on a regular route which may encounter snow in winter. Heavy snow may make the journey challenging, but the tremendous mountain view keeps us accompanied to encourage us through the trail. The colorful prayer flags and chorten welcome us to the pass with a tremendous view of mountains such as Annapunas, Gangapurna and Khatung Kang. After enjoying the mesmerizing beauty at the top of the pass, we continue towards the Muktinath temple. Upon setting sun, we will be at Muktinath. Muktinath is an important pilgrimage site for both Hindus and Buddhist. The temple, perfectly demonstrates the religions harmony in Nepal. The word “Muktinath” means place of Nirvana God. The area hosts a Vishnu temple and a Monastery nearby. The 108 waterspouts around the temple pours holy water. The visit to Muktinath temples is said to relieve every pain and sorrow in life. Jwala Mai Temple, near Muktinath, hosts a gorgeous natural spring and an eternal flame fueled by natural gas. (9 hrs). Today we will follow the “Jomsom trek” in reverse order. We will first go down to Kagbeni, which is a descent through meadows, streams and fruit trees like peach orchards. Then we will continue going down to Jomsom. Our descend continues through the Kali Gandaki Valley to Marpha. Marpha is home to many apple orchids as well as all the various food products made from the fruit. Apple Brandy is a local specialty that you may be lucky enough to taste. Here we end our trek to fly to Pokhara next morning (6 hrs). After a hearty breakfast, we go to the Airport at Jumla for an early flight to Pokhara. The 25 minute flight to Pokhara exhibits the beauty of the Kali Gandaki Gorge, magnificent mountains and lush hills. Pokhara is a peaceful lakeside city harboring a unique setting of tropical climate and vegetation with the dramatic Himalayas in the background. We have plenty of places to visit in Pokhara. We visit Davis falls, Mountain Museum and Pewa Monastery. We spend our night at the lakeside in Pokhara. After the breakfast in the tranquil city of Pokhara, we take the 25 minute flight back to the vibrant Kathmandu city. We get transferred to our comfortable hotels in Kathmandu. This is an ideal day to rest our exhausted body with a spa or massage. We can also wander around exploring the vibrant Kathmandu city. Finally, it is time to bid farewell to this beautiful land. Our tour Officer will meet us in the hotel and help us in our transfer to the International Airport. The trail was frequently followed by His Royal Highness the Prince Charles of United Kingdom in 1980 AD. Prince Charles got fascinated by the spectacular views of mountains.